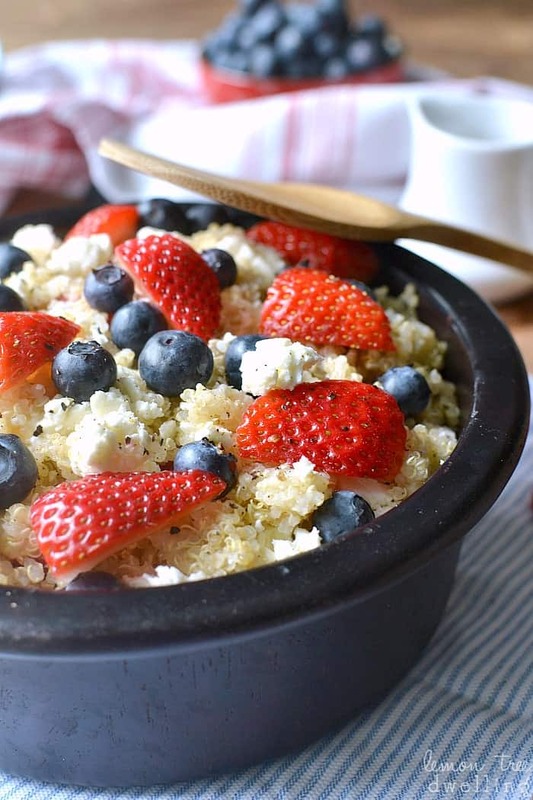 This Red, White & Blue Berry Quinoa Salad combines strawberries, blueberries, and feta in a light lemon vinaigrette. Perfect for Memorial Day, 4th of July, and all your summer barbecues! Happy Monday! How was your weekend? 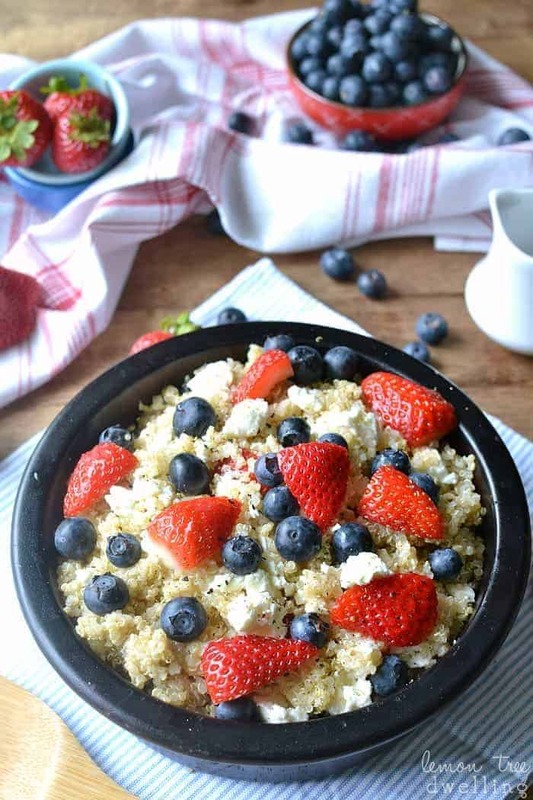 Mine was interesting, to say the least…..filled with lots of recipes (like this yummy quinoa salad), lots of play dates, and packing for my trip to California!!!! Wait – I didn’t tell you about California? Nope, I really don’t think I did. Well, now you know. I left this morning for a 3-day blogging retreat in Carmel Valley. I must say – I am filled with all kinds of mixed emotions. Excitement, gratitude, nervousness, and even a touch of sadness….I forgot how hard it is to leave your kids at home! Especially when they’re not used to it! But this was an opportunity I couldn’t pass up – 10 food bloggers hanging out on a ranch in California!? No way was I going to miss it. So….I’ll be sure to tell you all about it once I get back, and if you want updates along the way, I’ll be posting a bunch on Instagram! But for now, back to this salad. It’s so good, you guys! As in I ate the whole thing this weekend. And…..it’s perfect for Memorial Day or 4th of July! Red, white, blue, and delicious. What more could you ask for?? Combine salad ingredients in a medium bowl; add dressing and stir gently until mixed. I love your festive celebration worthy recipes – this looks great and healthy for the weekend ahead! As far as California, it is beyond exiting Cathy! Yay 🙂 can’t wait to read all about your journey! This is so creative, Cathy! I absolutely love it! 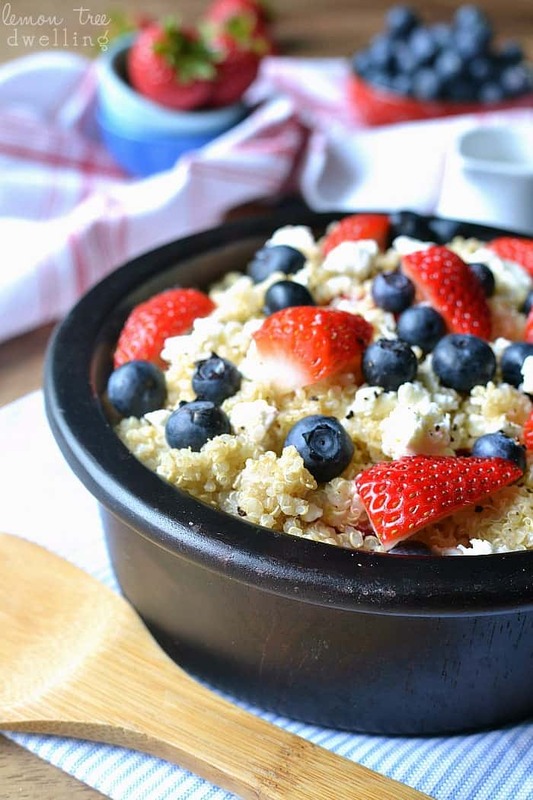 I’ve never used quinoa in a sweeter dish before, so this sounds fantastic. Pinned! This recipe looks amazing! 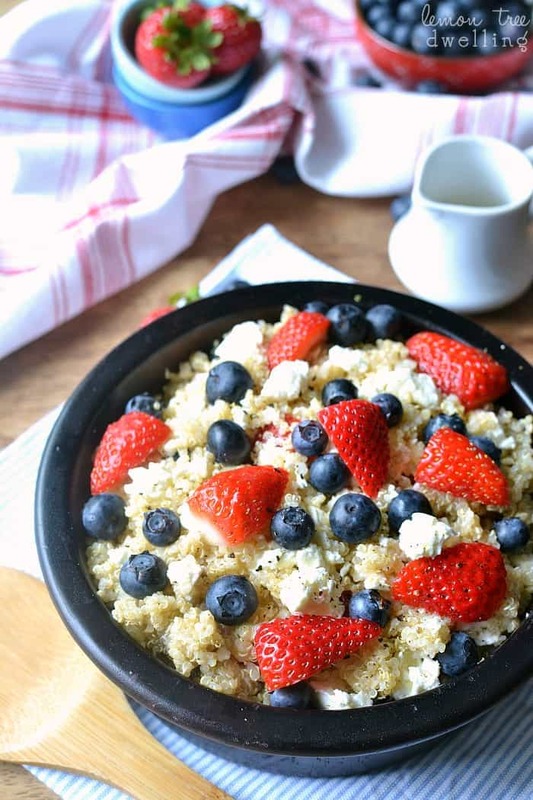 I have been experimenting with quinoa lately, so I will have to give this a try for sure. Pinning, Stumbling and Yumming! this will be great for a reunion. This will be much better for a picnic outdoors. Thanks! I can’t wait to hear about your trip! 🙂 This salad looks like the bomb(dot)com! 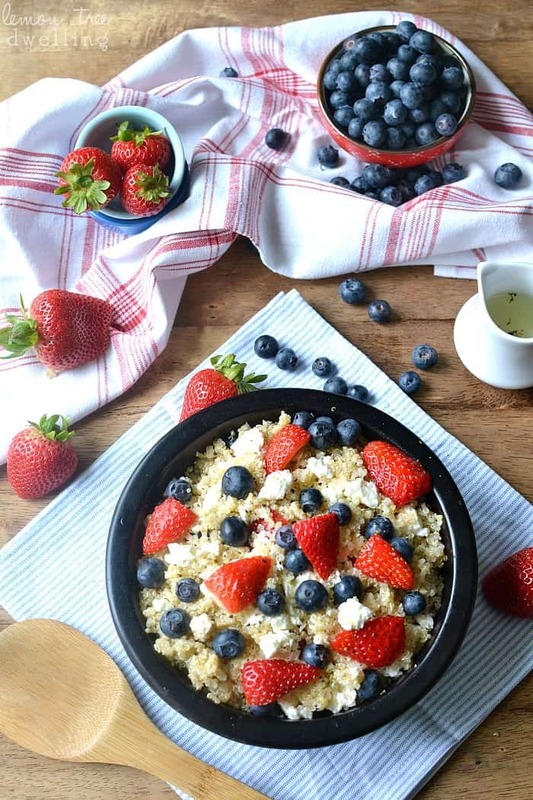 I’m a sucker for anything that’s red, white, and blue, and this is full of ingredients I love! It’s perfect for our patriotic holidays! 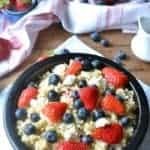 I love the berries in this salad – it look so fresh! A blogging retreat sounds so fun! Hope you had a great time! I just love a healthy salad that is pretty too! Good choice. That’s one of the things I love most about salads – they’re so pretty! Thanks, Rachael!